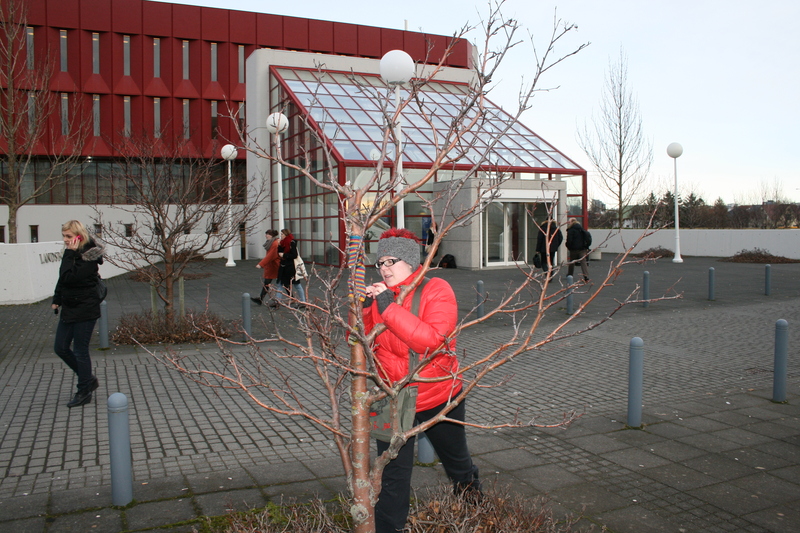 I’m graduating with my BA degree in folklore from the University of Iceland this February. 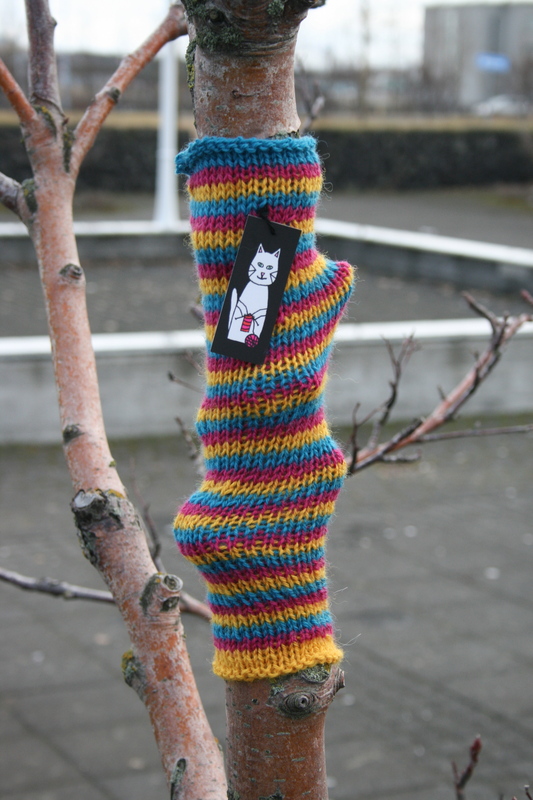 It was clear to me from the beginning that my thesis would have something to do with yarn and after a little thought on the matter I decided to write about yarn graffiti. 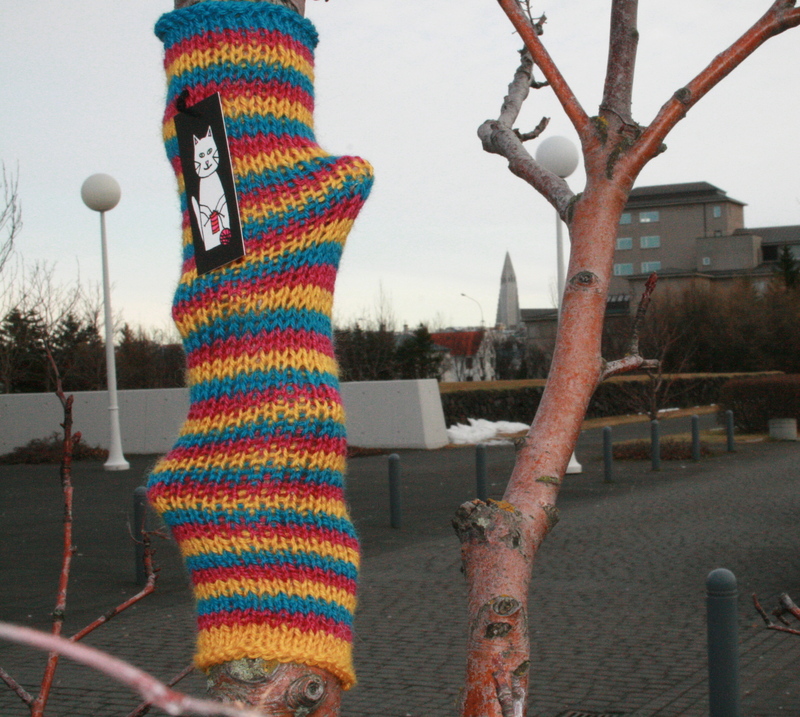 The thesis is called, in English, Yarn and the city: Craft in street art. 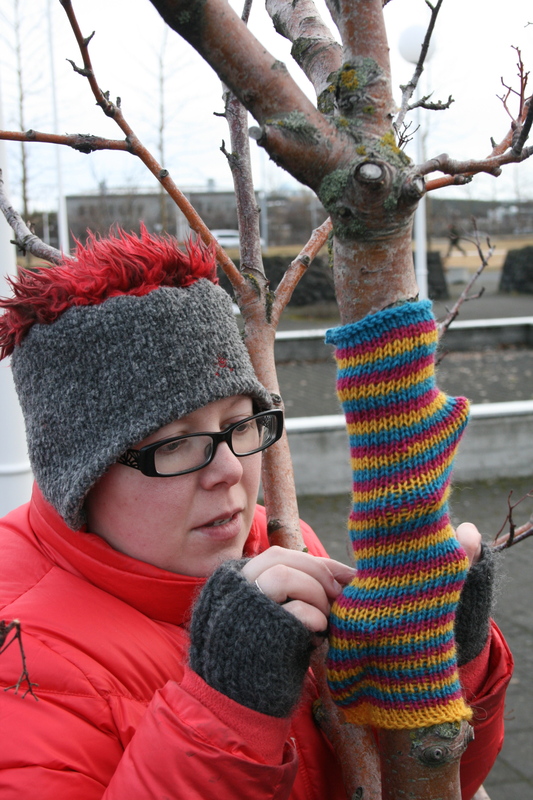 It is written in Icelandic but don’t worry, there will be an article about it one day, in English. 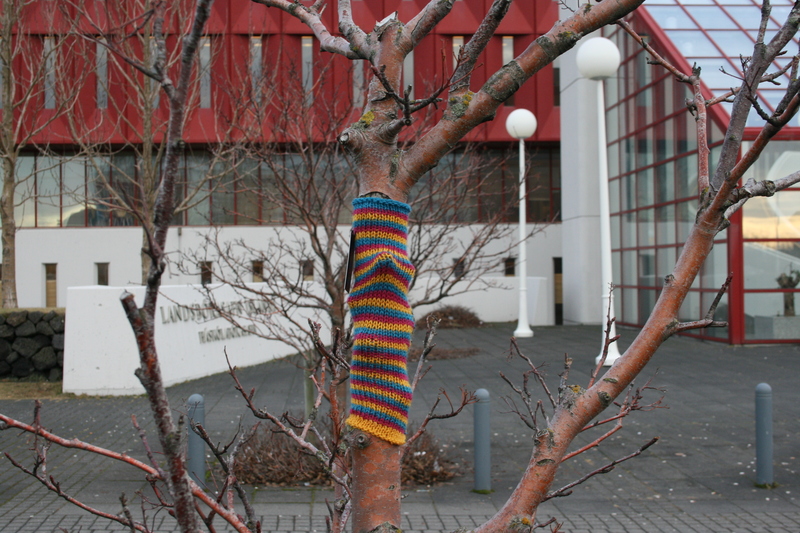 To celebrate, I yarnstormed outside the National and University Library of Iceland, where my thesis is kept. Posted in yarn graffiti and tagged yarn graffiti. Bookmark the permalink. Congrats Berglind ~ on graduating and the mitts! !